I've read so many posts and articles about how salicylic acid is supposed to be an amazing chemical that unclogs your pores and prevents breakouts. I have tried so many products (high end and low end) where the main ingredient was salicylic acid only to be severely disappointed in its ineffectiveness on helping my skin issues. 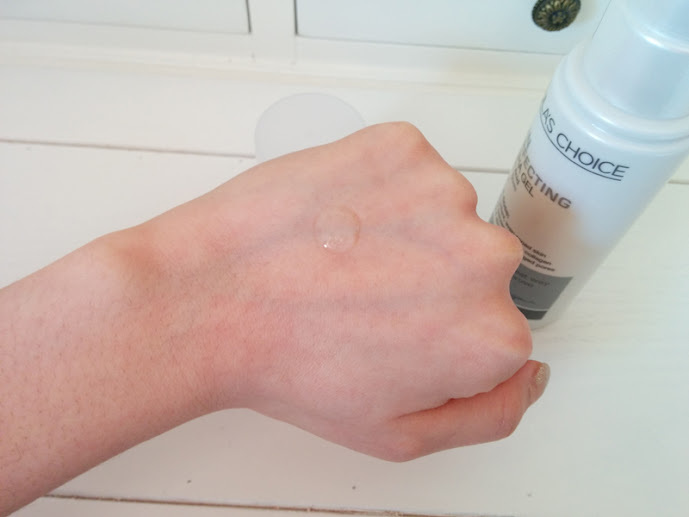 It was frustrating because salicylic acid products are so easy to purchase since they are so abundant, but none of the products worked for me. Everything changed for me when Paula's Choice entered the picture. 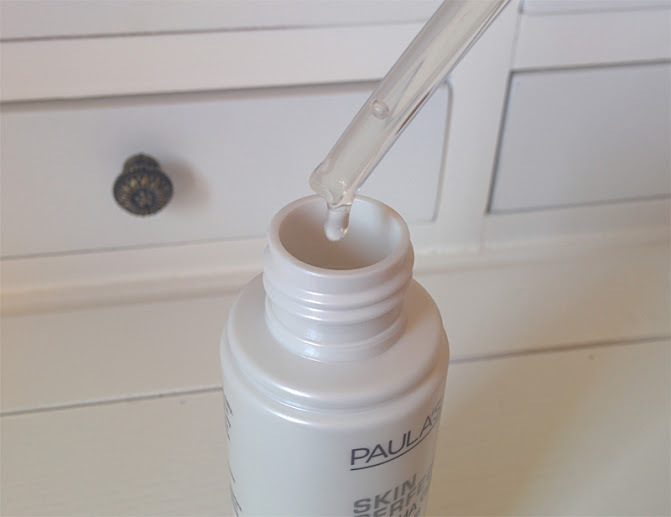 At first I was hesitant to yet another salicylic acid based product, but then I saw that Paula's Choice products are all in a specific PH range where the BHA acids are at their most potent. I thought, perhaps the reason why all those other BHA products never worked on me was because they weren't formulated at the proper PH level. I'm glad I followed this instinct and took a risk in trying Paula's Choice. Apply once or twice daily after cleansing and toning. Apply a dime-sized amount over the entire face, including the eyes (avoid the lower lash line and eyelids). Do not rinse. For daytime, follow with a broad-spectrum sunscreen rated SPF 25 or greater. The product comes in two versions; a lotion formula and a gel formula. I decided to purchase the gel formula because I have oily to combination skin. You get a generous 3.3oz of product with a pump dispenser. It is a lot of product because you don't need to apply too much for each application. 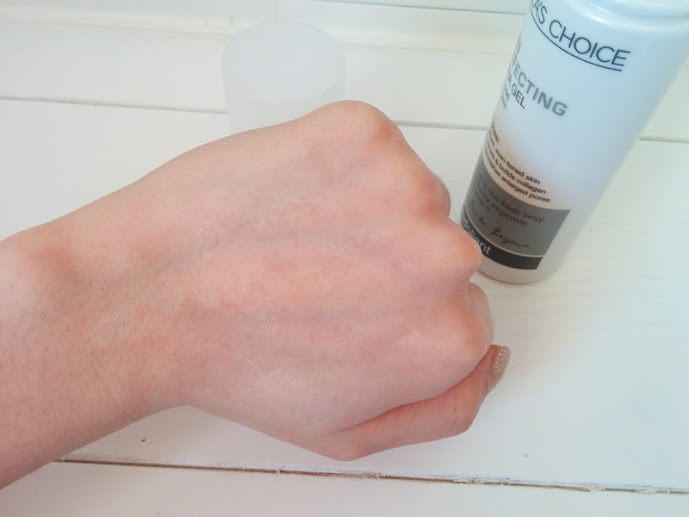 In fact, if you apply too much product you're left with a sticky residue which you have to either rub the product in further for absorption, or wait until that sticky-feeling is gone. That being said, when you use the proper amount it's completely absorbed into the skin. The product is completely clear and odorless so it's perfect for sensitive skin. The directions say you can either apply once or twice a day. I apply only once at night as I find that's all my skin can tolerate. After using the product once a day nightly for a month, I've noticed that my skin's clarity is better, and most importantly, the pores on my cheeks have gotten substantially smaller. My breakouts have gotten more manageable if not very infrequent, and best of all after 2-3 weeks the stubborn skin colored bumps (millia) disappeared too! Tightening my pores was my main goal in using this product because large pores means clogged pores which leads to breakouts! The radiant skin is just a very nice bonus. Overall, I'm extremely happy with this product and will probably repurchase it since it has made such a noticeable improvement in my skin. Product immediately after being dispensed from the pump. Product spread into the skin. BHA - salicylic acid: Is fat soluble. What this means is that the acid is able to penetrate the pore and into the oils that may be clogged inside the pore. It is ideal for those who suffer from acne, blackheads, whiteheads, millia (skin colored bumps), and rosacea. It also has antibacterial and anti-inflammation qualities which further make it ideal for acne sufferers. AHA - glycolic, citric, & lactic acids: Is water soluble. This means that it works on the surface of the skin and not beneath the skin. It is good for peeling the surface of the skin when the skin is sunburnt, getting rid of fine lines, and combatting hyperpigmentation. It also is a humectant which allows it to add some moisture to the skin. For these reasons, AHAs are more ideal for those with mature or very dry skin. You can totally use both a BHA and an AHA product if you want however! Many people do, including me! My moisturizer has citric acid in it which is an AHA. You suffer from acne related skin issues. You want brighter or more radiant skin. You suffer from millia and want to smooth out your skin. You haven't had luck with salicylic acid products in the past. Your skin is too sensitive and peels way too much by using other salicylic acid products. You are allergic to aspirin or its byproducts. You suffer from very dry skin. Your main concern is getting rid of fine lines or hyperpigmentation. You want a product that adds moisture to your skin. Paula's Choice is available on Paula's Choice's official e-commerce site. Check the site often to see what specials the site is currently running. Usually they always have some discount, but if they do not have a sale going on there are always coupon codes that will give you a discount. I was able to get the BHA Exfoliating Gel for $17 with free shipping! An amazing deal for a great product.